Awesome ! Where is the 918 ? I would choose the P1 anyday ! I don't know how you did manage to get this picture but it's one of the best i have seen on this site !! Throw a 918 in there and you have the 3 latest Hybrid Hypercars. Catfish in a skillet is certainly unique! Which makes the FF look about as common as Kraut in Klutz? Well I'll be a catfish cooked in a skillett, this is one unique combo. oh cool, I just saw Shmees latest video and then i saw this! 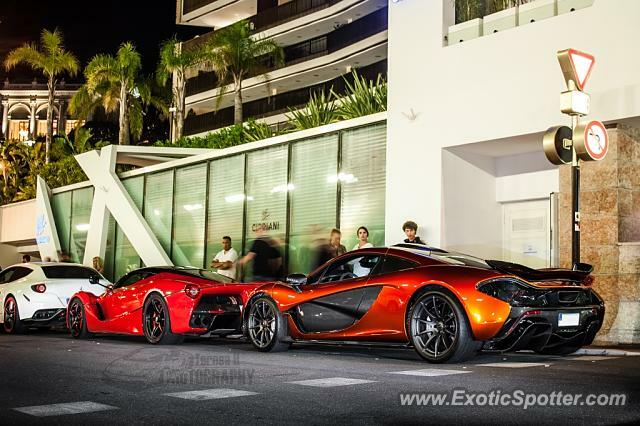 Never spotted a Laferrari, but from the 918 and P1 I would take the P1. Not a big fan of either of the cars, but you got a L+F from me because of the cars that are in it! Amazing spot and shot! l/f! I was waiting for you to upload this!